The U.S. Department of Justice has accused AT&T of overcharging the government by millions of dollars by failing to crack down on scammers using a text-based Internet service for hearing-impaired people. The DOJ on Thursday announced it had filed a complaint against AT&T in a whistleblower lawsuit brought by Constance Lyttle, a former communications assistant in one of AT&T's Internet Protocol Relay call centers. IP Relay allows hearing-impaired people to place telephone calls by typing Internet messages that are relayed by communications assistants. Lyttle's lawsuit was filed in October 2010 in U.S. District Court for the Western District of Pennsylvania. The lawsuit alleges that AT&T sought payment from the U.S. Federal Communications Commission for IP Relay calls by international callers who were ineligible for the service. In 2009, the FCC required providers to verify the accuracy of each registered user's name and mailing address, in an effort to reduce fraud by foreign scammers using the system to defraud U.S. merchants with stolen credit cards. AT&T, with up to 95 percent of its IP Relay calls coming from foreign callers, knowingly adopted a registration system that did not verify whether the user was located in the U.S., the DOJ alleged. The DOJ accused AT&T of improperly billing the FCC's telecom relay fund for millions of dollars in fraudulent calls. The FCC reimburses IP Relay providers at a rate of about US$1.30 per minute. 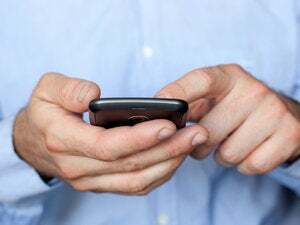 "Taxpayers must not bear the cost of abuses of the Telecommunications Relay system," David Hickton, U.S. Attorney for the Western District of Pennsylvania, said in a statement. "Those who misuse funds intended to benefit the hearing- and speech-impaired must be held accountable." AT&T disputed the allegations. "AT&T has followed the FCC's rules for providing IP Relay services for disabled customers and for seeking reimbursement for those services," a spokesman said. "As the FCC is aware, it is always possible for an individual to misuse IP Relay services, just as someone can misuse the postal system or an email account, but FCC rules require that we complete all calls by customers who identify themselves as disabled." Lyttle filed the lawsuit under the whistleblower provisions of the False Claims Act, which allow private citizens to sue on behalf of the U.S. government. If the lawsuit is successful, the whistleblower can share in the money recovered by the government.